CONCEAL CARRY must be something like concealed carry, because whatever it is, Helene Walsh is all for it. I am a proud member of the NRA and have my conceal carry license. I truly believe in the sanctity of the 2nd Amendment as well as the practicality of having law abiding citizens who are trained to handle firearms. 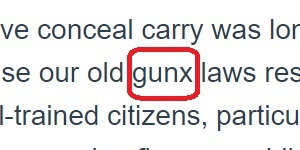 I believe conceal carry was long overdue because our old gunx laws restricted the rights of well-trained citizens, particularly veterans, from possessing firearms while criminals seemed to publicly carry with impunity. 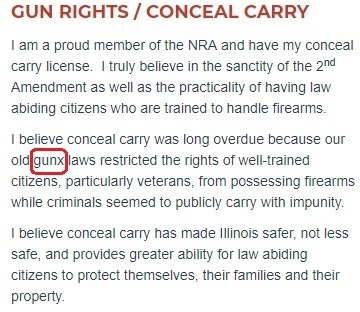 I believe conceal carry has made Illinois safer, not less safe, and provides greater ability for law abiding citizens to protect themselves, their families and their property.